The 3rd release in Single Cask Collection’s Rum selection is a thick and sweet dram with an abundance of oak character. 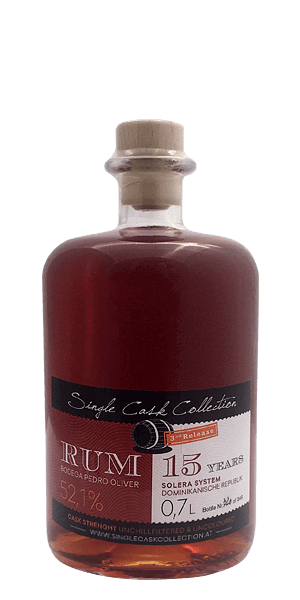 This particular Rum hails from the Dominican Republic and has a fantastically rich and deep body, with a velvety texture of caramel in the mouth feel. What does Single Cask Collection Rum Bodega Pedro Oliver taste like? The Flavor Spiral™ shows the most common flavors that you'll taste in Single Cask Collection Rum Bodega Pedro Oliver and gives you a chance to have a taste of it before actually tasting it.